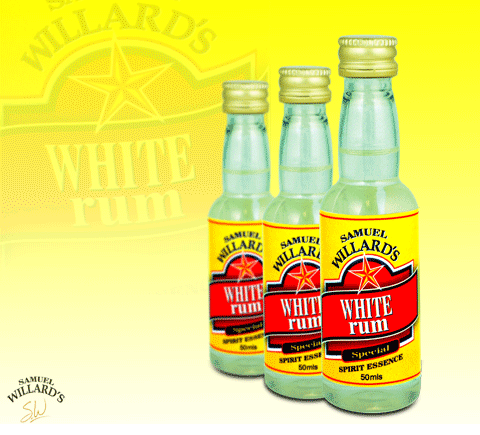 Samuel Willard’s White Rum is typical of many commercial light style Rums. The definitive flavour coupled with a general sweetness makes this a good base for cocktails requiring rum. Samuel Willard’s White Rum essence produces 2250mL of spirit from each 50mL bottle.